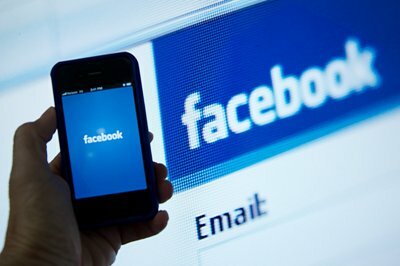 New Delhi: India, which has the highest number of Facebook users outside the US, will account for the fastest growth in people logging on to the social networking platform this year, research firm eMarketer said. "This year, eMarketer predicts, the country (India) will enjoy 40 per cent growth in Facebook users, the most of any market in the world and more than twice as quickly as regional second-place Indonesia," the firm said. According to eMarketer's projections, Facebook users in India will hit 108.9 million by the end of this year from 77.8 million in 2013. The firm estimates the user base in the world's second most populous country to swell to 136.3 million in 2015 and 211.2 million in 2018. "And India's rapid growth is not due to a small installed base of Facebook users. Already, by the end of 2013, nearly 78 million people in the country logged in to the site at least monthly. By the end of 2018, more than half a billion people in Asia-Pacific will use Facebook each month," eMarketer said. California-headquartered Facebook has said that India and Brazil are the "key sources" for the growth in its user base. Per Facebook data, global monthly active users (MAUs) stood at 1.28 billion on March 31, an increase of 15 per cent from a year earlier. "Users in India and Brazil represented key sources of growth in the first quarter of 2014 relative to the same period in 2013," the social networking giant noted. Facebook said its global mobile MAUs increased 34 per cent to 1.01 billion as of March 31 from 751 million as of March 31, 2013. "In all regions, an increasing number of our MAUs are accessing Facebook through mobile devices, with users in India, Brazil and the US representing key sources of mobile MAU growth over the first quarter of 2014 as compared to the same period in 2013," the firm added.